France is home to many exotic landscapes and products, and perhaps none are more respected than their premium brands of bottled water, of which Volvic is a prime example. 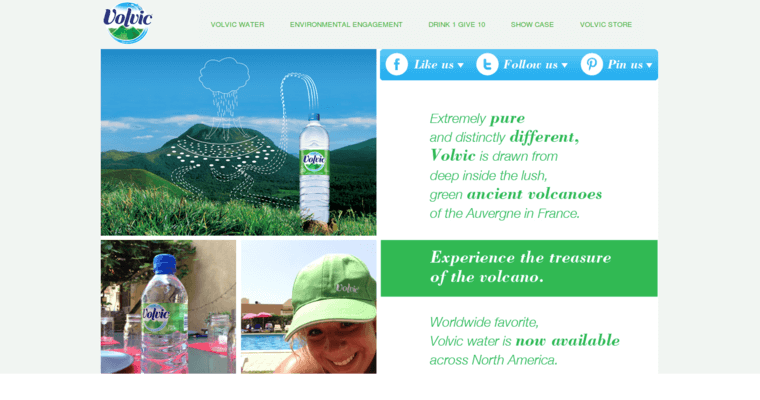 The extinct volcanic ridge known as the Auvergne is the reason why Volvic brand water exists in the first place. The source of the water is the legendary Clairvic Spring located in the namesake town of Volvic, and that spring has been producing water of unsurpassed quality for generations. Now it is bottled for distribution so anyone in the world can enjoy this top-tier beverage. The porous sediment of those dead volcanoes acts as a natural filter that removes the vast majority of dissolved solids from the water as it takes a years-long journey from the top of those mountains. However, the process does not affect the mineral quality of the water in any negative way. In fact, it strengthens that profile.